The Outdoor Research Helium II is essentially a cross between a super light rain jacket and a wind shirt; it offers the extended water resistance of a rain jacket with the weight and packability of a wind jacket. This model is the most compact jacket we tested, and it conveniently stows into a special built-in stuff pocket. It might lack the durability or the ventilation options to make it as versatile as several other options in our review, but for backpackers, hikers, climbers, and trail runners who might leave their jacket in their pack 95% of the time, the Helium II is a perfect option. This contender is the lightest and easily the most packable of all the models we tested, making it ideal for moving light and fast, or to carry around as a just-in-case layer for protection against unsettled weather. We found our Top Picks and Editors' Choice winners, the Outdoor Research Foray, REI Rhyolite, and Arc'teryx Beta SL, all performed better during blowing rainstorms; all three offered better breathability, but none packed down nearly as small and were all twice the weight of the Helium. An extremely lightweight and exceptionally compressible shell, the Helium II is ideal for those looking to pack a rain protection layer that takes up as little weight and space as possible. Two reflective patches make this a great jacket for cool weather running and biking. The Helium II is super light and very compact, making it an excellent jacket to carry along on multi-pitch rock climbs. The Marmot Essence is a far more breathable ultralight jacket for high energy use, but the Helium blocks the wind much better. Brandon Lampley getting ready for the afternoon showers at Lumpy Ridge near Rocky Mountain National Park. This jacket did a solid job of keeping us dry, and we thought the hood design was among the best in the review. Like the Best Buy award winning Marmot PreCip, the elastic cinches extend up to the temple and not across the brow. The unique part of the Helium's design is that there are no cord locks at the side of the hood. A third elastic cord that tightens on the back of the hood also cinches the two on the side of the face. With the large, stiffened brim, these features work perfectly together. The DWR treatment applied to the Pertex Shield+ fabric held up pretty well during our field and side-by-side testing. The one shortcoming with the Helium II's storm worthiness is the wrist/cuff design. Because this jacket only offers elastic on the wrist side and no means to tighten it, water can run down your forearms when reaching overhead into rainy weather. Despite its exceptionally low weight, the Helium II performed very well in our real-world and side-by-side testing, though we do think its DWR treatment tends to wear out slightly faster than average and needs to be treated more frequently. As a whole, we were impressed by the storm protection this 6.5-ounce jacket provided; however, it wasn't nearly as comprehensive as several other jackets in our review. This jacket does not have any ventilation features, save the loose-fitting wrist cuffs (if you can call that a ventilation feature), which fit our lead tester's wrists with plenty of room to spare, and thus let some moisture escape. What this jacket does boast is one of the more breathable 2.5 layer fabrics on the market: Pertex Shield+. We found this fabric was more breathable than some coated options like DryVent (The North Face Venture 2) or H2No (Patagonia Torrentshell). The Pertex Shield+ fabric was breathable enough to keep us comfortable when generating heat and sweat, as long as it was pretty cold out or we weren't working too hard. This model is a perfect wind/rain jacket hybrid. It moves exceptionally well and weighs next to nothing. The Helium II was breathable enough to become one of our favorite jackets for cooler or drizzly early morning runs. All that said, because of the lack of venting options, if you're a sweaty person or looking for something more than super-light rain protection that lives in the bottom of your pack, then check out the super venting Outdoor Research Foray, The North Face Dryzzle, or Marmot Minimalist all feature a higher level of breathability via the Gore-Tex Paclite and high-quality ventilation features. The Helium II offers some of the best range of motion of any jacket in our review. The only jacket scoring better was the (much more expensive) Arc'teryx Beta SL. Check out our Comfort & Mobility chart below to see which jackets excelled in this metric. Despite a truly minimalist design, the Helium II doesn't give anything up for its range of motion or overall mobility. In fact, along with Arc'teryx's Beta SL and REI's Rhyolite, the Helium offered the best mobility among any jacket we tested. Our team found it to be an excellent jacket for rock climbing, ice climbing, or other similar activities. For "comfort" in the traditional sense, it might be a little lacking compared to most of the jackets in this review and doesn't even feature small nods to comfort like a micro-fleece chin patch. Despite being the lightest shell in our review, the OR Helium II managed to also feature one of the better hood designs. It snugged down nicely, kept our head dry, and still kept an above average amount of peripheral vision when we turned our heads. This jacket does deliver an excellent, well-designed, easy to adjust hood that fits over a bike or climbing helmet nicely. It has a unique elastic cinch system that our testers loved, and we found the Helium's hood comfortable with anything from a ball cap to a rock climbing helmet. The zipper pulls on the waterproof main zipper and chest pocket have some of the easiest to grasp pulls, which is great for gloves. The cinch featured on the Helium II did a fantastic job at keeping the hood on our heads, regardless of how windy it was or what type of headwear we had on. The Helium II runs slightly snugger than most and is the slimmest fitting jacket in our review. However, for most people, we still recommend your usual size unless you find that you are typically in between sizes; in this case, we would recommend sizing up. A 5'10" medium-sized 175 lb user loved the medium size (and also wore a size medium in every jacket we tested); however, it's worth noting that it was a little tight with a puffy jacket underneath, though a thick base-layer like a Patagonia R1 Hoody fit great. Our size large test jacket fit our 6 ft, 185-pound tester nicely. Thought it was slightly snug, the torso stayed put when climbing and reaching overhead. The Helium II runs a little smaller than most jackets we tested, though unless you are truly between sizes or you know you are going to need to layer more than just a light fleece (Patagonia R1 or equivalent), then you don't need to size up. Continuing with the minimalist design, the Helium only offers one Napoleon-style chest pocket. This isolated pocket is very functional and fits even a larger than average smartphone or similar sized item. It does feature a "stuff pouch" that (now) features a clip-in loop for secure attachment to a harness. While not having a pair of pockets to put your hands in is a small disadvantage, we think folks looking for the insanely low weight and minimal packed size won't find this missing feature to be a big deal. At 6.5 ounces, this was the lightest model we tested and remains one of the lightest overall waterproof models currently available. The lightest of the fully featured jackets we tested, the Arc'teryx Beta SL (11 ounces) and Patagonia Torrentshell (12 ounces), both weigh in 5 ounces heavier. If fast and light are your top priorities, then the Helium is a stellar choice that is tough to beat, as long as you're willing to sacrifice a little versatility. The lightweight 30D ripstop nylon face fabric on this piece stood up to abrasion surprisingly well; we have to admit that we didn't expect such a super light fabric to withstand as much abuse as it did. We wore this model rock climbing and ridge scrambling repeatedly, and the forearms are just starting to show some wear from the rough granite after several months. The main benefits of this jacket - its super lightweight and packability - do come at the expense of durability. The bottom line is the Helium II is less durable than all the other jackets we tested; BUT, not by a lot. For folks who are mostly day-hiking or backpacking, the Helium is more than durable enough for hiking trails. Looking for something on the other end of the durability spectrum? Consider the Outdoor Research Foray or the Marmot Minimalist. The Helium II was easily the most packable jacket in our review, being half the size (or smaller) than most other jackets we tested. This model packs away in an interior Velcro-closure stuff pocket; it easily compresses down smaller than any other model we tested. It packs so small in fact that climbers and runners are known to put a stuffed Helium in the bottom of a hydration pack, so it's always there. Unexpected rain, wind, or cooler than anticipated weather… this little secret weapon handles them all. The latest version of the Helium does come complete with a clip-in loop to facilitate attaching to your harness (where previous versions lacked this feature). The newest version of the OR Helium II features a clip-in point for carrying on your harness while stuffed away in its pocket. We think this jacket is fantastic for climbing and any other time you would like to bring a jacket just in case. The hood on this rain jacket has a stiffened brim and a unique front to back elastic cinch cord with an external lock. The collar has a simple fabric tab at the chin and a nice large hang loop in the back. The Helium II does not have pit zips; with the waterproof chest pocket, it is the only jacket we tested with no means of ventilation. The stuff pocket on the internal left front side closes with a Velcro tab and doubles as a good stash spot for snacks, while the wrist cuff is very simple with elastic on the inner wrist. The elastic hem cinch has one cord lock on the right side, and the logos double as reflective patches on the left chest and left sleeve. There is no back facing reflectivity. The Helium II has a nice hang loop on the inside of the collar and waterproof zippers with easy to use pulls. No pit zips on this ultralight shell though, and the wrist cuffs aren't adjustable. The ultralight and minimalist Helium II is a great choice for fast and light activities, from day hikes to long-distance thru-hiking. It even excels at summer-time mountaineering and climbing objectives. It performs well for general-purpose backpacking, day-hiking, cycling, and running, and it is a very popular just in case layer for climbers and peak baggers. It's worth remembering that most backpackers and mountaineers end up carrying their waterproof jacket 95% (or more) of the time, making the Helium a perfect layer always to bring along (and practically forget that you have). The Helium II fits over a climbing or bike helmet well enough, but it isn't quite as helmet friendly as some other models we tested. At $159, this model is the most affordable of the ultralight jackets we tested. While several jackets score higher overall and offer more features and versatility, the Helium is lighter and more compressible than all of them, offering several advantages - especially at its price. Brandon Lampley puts the La Sportiva Eco 2.0 GTX boot and the Outdoor Research Helium II rain jacket through the paces on a quick round trip on the Kelso Ridge of Torreys Peak. Long day trips through rough terrain are right in the Eco's wheelhouse. 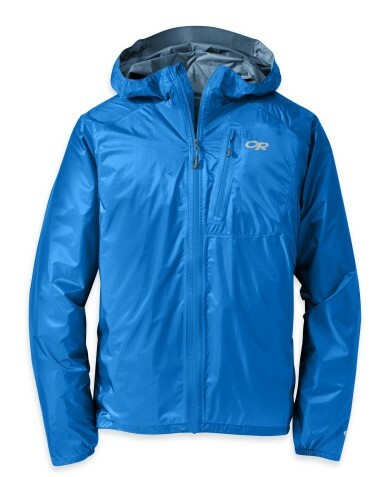 The Outdoor Research Helium II is a rad ultralight rain and wind jacket at an excellent price. It's fine-tuned for light and fast activities that take advantage of its excellent mobility and respectable breathability. When you don't need the Helium II, its compact six ounces in your pack or clipped to your harness are hardly noticeable. It isn't as durable, well-ventilated, or versatile as some other options, but for folks looking for the best ultralight jacket, this is it. 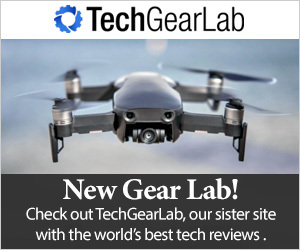 This model provides dependable waterproof protection in a tiny package. It's our go-to jacket for just-in-case protection when multi-pitch climbing. Amazon $87.95 - 45% off! MooseJaw $126.99 - 20% off!